Are you planning to buy a vehicle? Don’t have enough finances? Need some help? We are happy to help you here. We can help you secure an Auto loan, which will help ensure that you tide over personal finance issues and get your dream car. There’s no need to think so much to buy your first or next vehicle. Vehicle is your personal asset, and if you have been waiting for long to own one, then here we go with a solution. Auto loan help you get you closer to your dream vehicle quickly, they are the fastest and the easiest way to get your vehicle. Auto loans are provided by all banks and many large sized Non Banking Financial Companies (NBFCs). Auto Loans allow you to get financial support from a financial institution on applicable rate of interest that’s payable in the form of Equated Monthly Installments (EMIs). EMI is a fixed payment amount paid by the borrower to the financial institution on (or before) the specified date every month throughout the loan tenure. You can get a car loan, loan for motorcycle, or more. You can even apply loan for used car or motorcycle, and other used automobiles. Different banks and NBFCs offer different rate of interest for different vehicles and tenures. Rate of interest also depends on whether you are applying for a new car loan or a used car loan (same goes for all automobiles). But the most important of all is eligibility. As everyone can’t apply for loan only eligible candidates can apply for it. Eligibility depends on age, type of profession you are in (salaried / businessmen) and income. 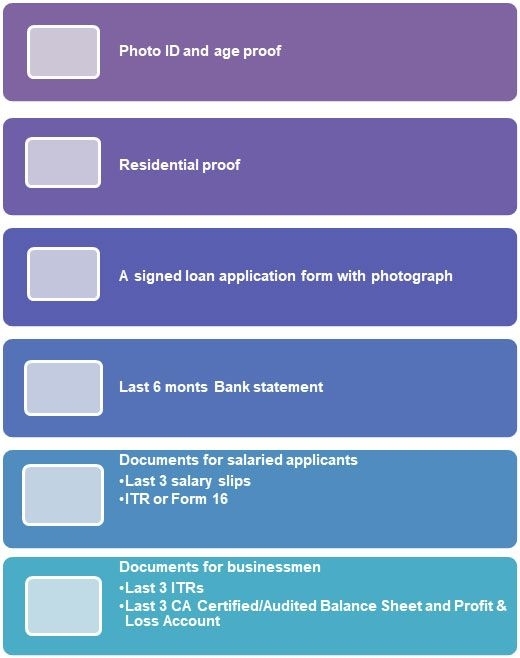 Different banks and NBFCs have different criteria for each of them. Maximum auto loan disbursement amount varies from 80% - 95% of the ex-showroom price depending upon the loan provider company, new or used vehicle and the credit history. The maximum term for which loan is offered by various companies varies from 5 years to 7years. You can apply for any amount of loan capped by the maximum limit and for maximum tenure time. Car Loan: You can take a loan for a new or used car. The company will review the documentations and amount of loan applied before giving the loan. 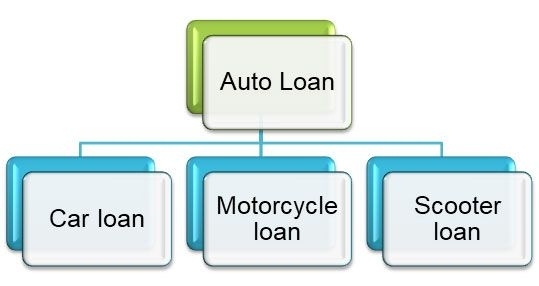 Motorcycle Loan: Under motorcycle loan you can apply to get a loan for used or new motorcycle. Scooter Loan: Apply for loan on new or used scooters under this category. If you are looking forward to get an auto loan, then here we have list of places to checkout. Compare benefits, perks and limitations of each loan program before opting for one. Banks: Different banks offer different types of loan programs that may vary in interest rate, processing fee, maximum loan amount, tenure, pre-closure fee, and more charges. Both private and government banks are a reliable and authentic institutions offering loan on different kinds of vehicles. Non Banking Financial Companies (NBFCs) – Are usually private held companies offering financial support services. You can contact them for an auto loan for any vehicle. These companies generally charge a higher rate of interest than banks. These companies don’t come under government rules and regulations or terms of RBI (Reserve Bank of India). Though you can get auto loan through any financial institution, but you must first research and compare different available options to get an effective quotation. You can visit branch office or apply online for a loan. Applying online will save you money and time, while getting friendly customer support and brief idea of the market. It will be easy to compare the interest rate, tenure, hidden charges, and fees. You can even place a request for a bank’s relationship manager to either call or send a SMS regarding the loan. These days you can even call customer care service representative to get an instant information about loan amount, EMI, and other information. Online platform like droom offers a list of authentic financial companies offering auto loan. 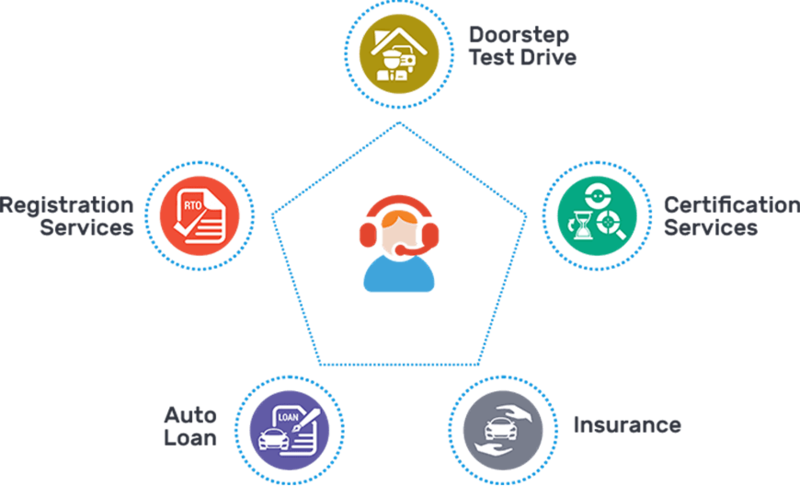 Droom helps its customer get best loan quotation, instant loan approvals, maximum benefits, and lot more from comfort of your home.